Cervical cancer adversely impacts African American communities. While disparities in incidence remain unclear, communities continue to use forums to increase cervical cancer education. The purpose of this paper is to examine the efficacy of using community forums to increase human papillomavirus vaccine (HPVV) and cervical cancer knowledge in African American communities. This study is a one-group pretest–posttest study design using a 17-item questionnaire to collect data from 412 participants in diverse communities. Our analyses revealed perceived knowledge increased significantly after the forums for African American participants. For African Americans, perceived knowledge prior to the forums was explained by gender, access to care, and trust in clinical trials. After the forum, perceived knowledge was associated with access to care and trust in vaccines. Participants who had health insurance reported higher perceived HPV and cervical cancer knowledge and greater trust in vaccines. 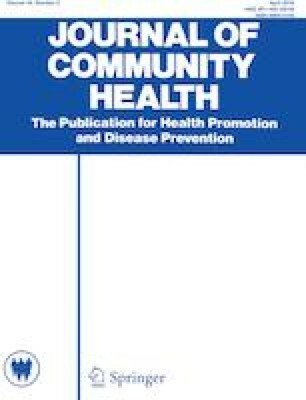 This study found community forums that address the cultural and historical context of research mistreatment related to HPVV development and include diverse racial/ethnic representation of stakeholders may be a useful strategy to increase HPVV, and cervical cancer knowledge in African American communities. This study was funded with developmental funds from the University of Chicago Cancer Center. Dr. Kenneth Alexander is a consultant with Merck Pharmaceuticals and received a speaker honorarium. All remaining authors declare that they have no conflict of interest. Centers for Disease Control and Prevention. (2016). The link between HPV and cancer. Retrieved from https://www.cdc.gov/hpv/parents/cancer.html. Accessed 16 Nov 2017. American Cancer Society. (2016). The American Cancer Society guidelines for the prevention and early detection of cervical cancer. Retrieved from https://www.cancer.org/cancer/cervical-cancer/prevention-and-early-detection/cervical-cancer-screening-guidelines.html. Accessed 16 Nov 2017. Centers for Disease Control and Prevention. (2017). Prevalence of HPV in adults aged 18–69: United States, 2011–2014. Retrieved December 12, 2018 from https://www.cdc.gov/nchs/products/databriefs/db280.htm. Accessed 16 Nov 2017.